Since the Alpha•Omega pedal was launched at NAMM 2017 and with its distinct design, co-developed with Jon Stockman from Australian rock band Karnivool, the pedal’s unparalleled versatility and shear display of brutality has relentlessly carved a path to becoming a new standard for bass players in need of a pre-amplifier to be apologetically heard in any musical context. However, even with the Alpha•Omega’s popularity and momentum, Darkglass decided it was time for an uncompromising option for those in search of the same bone-crushing sound and flexibility, but in a smaller, more affordable format. 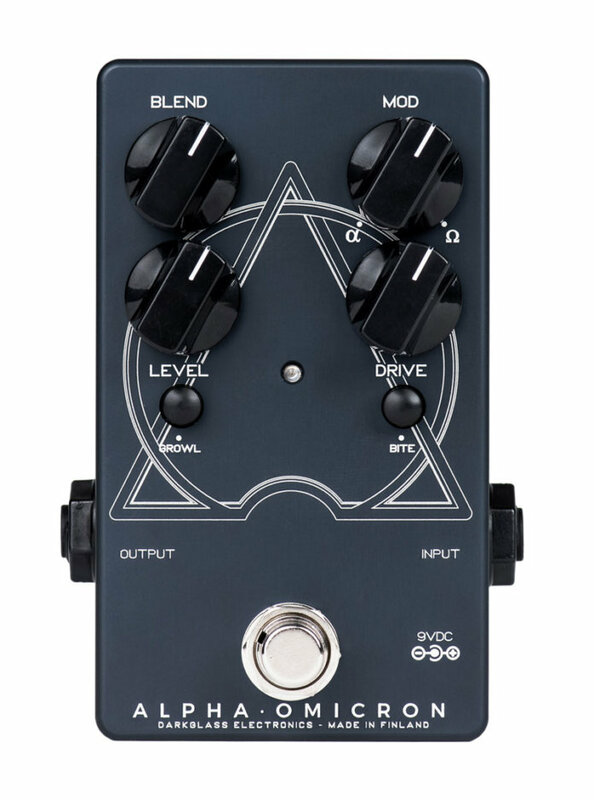 So with that in mind, Darkglass is proud to introduce an additional pedal to the range – Alpha•Omicron. Featuring the new double distortion engine (Alpha and Omega), this latest creation from Darkglass Electronics can deliver the same harmonically rich, varied textures that its bigger brother can, but all at a fraction of the size and cost for those who don’t need Alpha•Omega’s built in DI and active EQ sections.